GMA is on the Hunt Team that has partnered with the Chicago Housing Authority (CHA) to invigorate Cabrini Green with an inclusive, pedestrian-oriented, and mixed-use community. 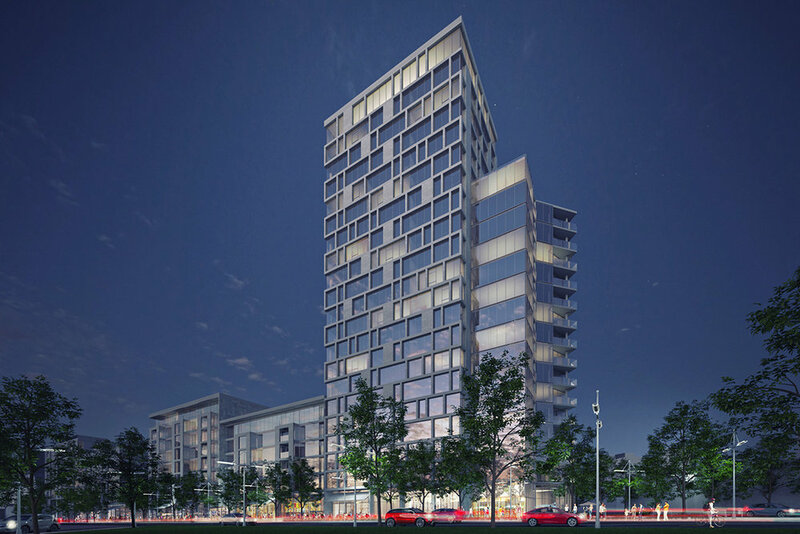 The Development Plan includes 482 mixed-income housing spread across a variety of building types including low-rise townhomes and flats, a mid-rise building, and a signature 21-story high-rise building. As part of GMA’s Job Order Contract with the Chicago Housing Authority, the firm is completely renovating the 14-Story Elizabeth Davis Apartment Complex. The scope of work includes complete renovation of the existing bathrooms and kitchens with modifications to the living/dining and bedroom areas. The finishes include new LVP flooring, new solid core wood bifold and entry doors, new painting throughout unit, new kitchen cabinets and countertops and new appliances. The East Park Apartments includes the complete renovation of a 153 Unit dwelling units and all common area spaces. The work will include demolition, electrical upgrades, new PTAC units, boilers, shower surrounds, doors, flooring, cabinets and painting. The project also includes major exterior upgrades that include masonry renovations, parking lot upgrades, a new steel bike structure and perimeter fence. Building amenities include: fully furnished units, full-size appliances, utilities included, A/C, cable, lounge, community room, on-site laundry, social services classroom, on-site management and 24-hour front desk. The Altgeld Gardens Renovation Project includes complete and selective renovation of affordable housing units with 1 through 5 bedrooms. The scope work consist of a complete renovation of the existing bathrooms and kitchens with modifications to the living/dining and bedroom areas. The Henry Horner Renovations project included the renovation of the CHA’s ready to occupy facilities across 10 scattered sites. The scope work consist of a complete renovation of the existing bathrooms and kitchens with modifications to the living/dining and bedroom areas. The finishes include new LVP flooring, new solid core wood bifold and entry doors, new painting throughout unit, new kitchen cabinets and countertops and new appliances. The MEP scope includes selective replacement of HVAC units, certified duct cleaning in all units, selective electrical panel replacement, new light fixtures, outlets, and switches through out units. The new 5 story 52 apartment complex situated on the South-side of Chicago included new MEP systems, finishes, windows, roofing, storefront systems, landscaping, utilities, and resident patio and playground areas.